Thank you all for an amazing 2017! I put together a short montage video of the last year of dog training, everything from obedience, tracking, detection and of course everyone’s favorite, bite work for police K9s and protection dogs. Check out the video below and scroll lower to see some cool stats from the year! We worked with some of the best decoys and trainers in the world! We’ve gained 2 new apprentices! 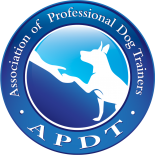 Thank you all so much for being a part of the Complete Canine Training family! We look forward to next year with anticipation, we’re excited to see all of your dogs progress even further in 2018! Don’t miss our first group class this year on Jan 6th! Check your email for details or sign up for group class here.